The maps presented on this page are kindly prepared for the Global Peace Operations Review by the Geospatial Information Section (formerly the Cartographic Section) of the UN Department of Field Support. 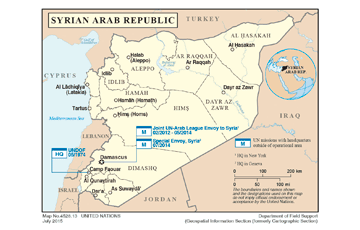 All other maps on the site are prepared by the Center on International Cooperation, unless further noted. 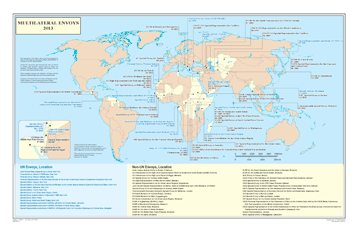 This map may be downloaded and used for any educational presentations where a visible map of UN Peace Operations could be of use. Please cite the Geospatial Information Section of the UN Department of Field Support when using the map in any presentation. 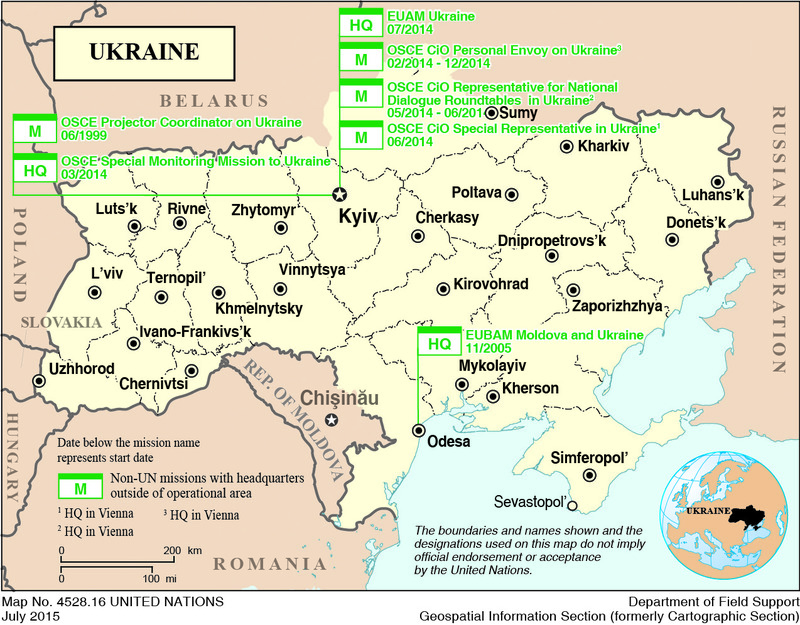 This map represents all UN Peace Operations based in Ukraine for 2013-2014. Download and share a .PDF or .PNG version of the map.